Not only adults were well dressed up and decorated, children were also the same. The whole village was filled with joy in special events such as wedding days, festivals and celebrations. 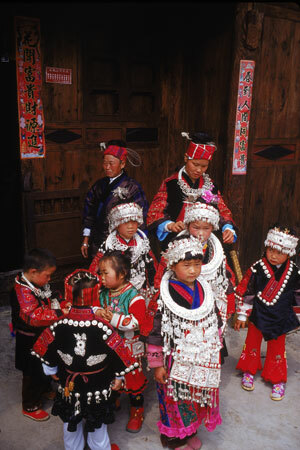 Each year in southeast GuiZhou Miao people traditionally have almost as many festivals and celebrations as the number of weeks in a year.